Supersupergirl's Food Reviews: Fun with got milk? magic straws collection!! 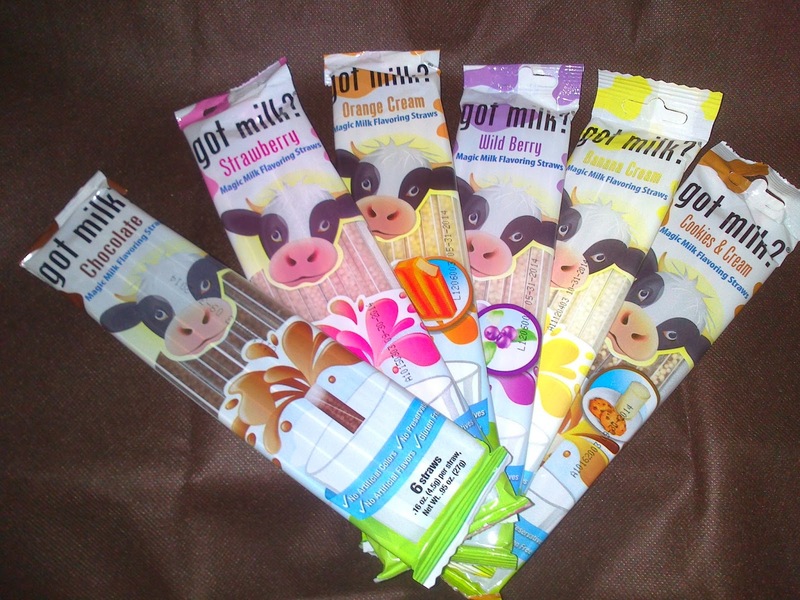 Thanks to Hong Kong's Octopus Inc for sending me the latest collection of got milk? straws. There were six flavours: banana, strawberry, cookies and cream, chocolate, wild berry and orange cream. I only managed to take one photo of the magic straws in action because it was hard taking a photo whilst drinking it. The banana was quite sweet with a strong vanilla taste and a hint of banana which tasted natrual. I was expecting the strawberry taste to be strong but it was not. The taste of this was similar to the chocolate but it was not so chocolatety. Visually it was really pretty with the contrast of white and brown in the straws. The taste of this was interesting and reminded me of something which I can't remember! It may have been Hubba Bubba chewing gum, but it was definitely a Western candy. This was my favourite flavour and probably the most popular flavour because it is just fuss free simple tasting chocolate. I also had fun trying two different flavours together. The combination of strawberry and wild berry resulted in a wonderful fruit of the forest flavour. The flavour was quite cute and tasted like banoffee pie. Orange and chocolate always pair well resulting in delicious chocolate with tones of orange! As a summary, chocolate was the best, next was the banana which was surprisingly good because it was not artificial and then orange cream. Each magic straw is sufficient to flavour one glass of milk.